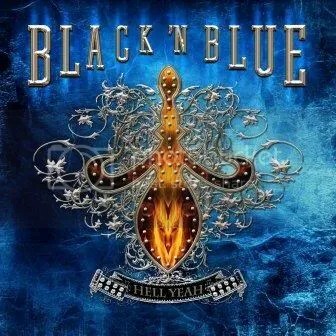 Black 'N Blue – Hell Yeah! Though they reunited in 2003, Black ‘N Blue seems to be one of few major label hair bands that never really had a full-fledged comeback back when many other hair bands were becoming popular again. Their frequency of activity has wavered over the last decade but for good reason — original guitarist Tommy Thayer was busy taking over Ace’s role in KISS while Jaime St. James spent a few years singing in Warrant. Well, it’s 2011 and Tommy is still in KISS (his replacement is Shawn Sonnenschein) but with Warrant behind him, Jaime is able to fully focus on Black ‘N Blue. Hell Yeah! is the band’s first studio album since 1988’s In Heat. I have read that plans were being made for a new album in 2003 but with Warrant recruiting St. James, everything came to a standstill. Jaime has since said some of those initial song ideas were used to help create this album. You wouldn’t know it if the basis of some of these songs were nine year old ideas because the entirety of Hell Yeah! is unashamedly a love letter to those that grew up on ’80s glam. Jaime is in fine form on this album. I think he’s put in a better vocal performance on this album than he did on Warrant’s Born Again. I can’t imagine any fans of ’80s rock/metal not liking this album, Black ‘N Blue fans especially. Out of the man good tracks on this album, “Fools Bleed” is absolutely my favorite. It’s a haunting and powerful mid-tempo number that sounds exactly like something out of the golden age of pop metal. It’s just good time hair metal for the most part but there is one song that leave me scratching my head… “World Goes Round”. It sticks out like a sore thumb and reminds me of something rock/pop song from the late ’90s. It sounds like something from Sugar Ray or something and just does not mix well with the rest of the album which is filled with a number of fantastic hard rockers like “Target”, “Hail Hail” and “Hell Yeah!”. This is another great release to pick up in a year that’s already shaping up to be something special for rock music. Hopefully this band won’t take as long of a break between albums as they did between this one and In Heat! Buy ‘Hell Yeah!’ at Amazon.com!